In industries around the world, innovators and visionaries are working together to unleash trust and transparency like never before. 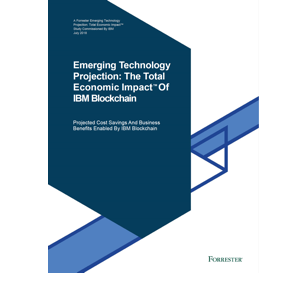 And many of them are doing it through permissioned, secure networks built on the open IBM Blockchain Platform. Learn what these blockchain for business networks are doing in your industry and others. Then get ready as these networks start working with each other – an interoperable network of networks – where newfound efficiency and value are poised to reinvent individual businesses, entire industries and even life itself. Join thousands of businesses producing new value, re-writing the rules of their industries and changing the way the world works together.